What currency is commonly used in Panama? The Balboa the local currency in Panama, however, this currency only exists in coin form; there are no paper bills. It is traded and used locally on par with the USA dollar. The U.S dollar is considered legal currency and freely accepted in all of Panama, both coins and paper bills. Please bring paper currency in small denominations no grater than the $50 bill. How much is a tour of the Panama Canal? We have two types of boat tour crossing the Panama Canal. Partial transit costs $ 180 USD per person and full transit costs $ 250 USD per person. Can you visit the Panamá Canal?. Can tourists take a boat ride through the Panama Canal? Of course, you can visit the Panama Canal. You can take our famous boat tours through the Canal or you can take our City Tour that includes a visit to the Miraflores locks at the Panama Canal or you can take our tour to the Miraflores locks in the Pacific and Agua Clara in the Caribbean. How far is Panama City from the Canal? The distance between Panama City Airport, Tocumen International Airport (PTY) and Panama Canal is 32 km. The road distance is 42.2 km. The Canal access point for tourists is located at the Miraflores Locks. The Panama Canal is in Panama City, the Canal is part of the city. From the center of the city it can take you between 20-30 minutes 8.5 miles, 13.7 kilometers to reach the Miraflores Visitor Center. Can I pay for my tour the same day it is scheduled? No. All reservations must be prepaid. Company policy prohibits accepting passengers who have not prepaid their reservations. At What time does the Panama Canal Complete Boat Tour Begin? At What time does the Panama Canal Partial Boat Tour Begin? Why is the departure time scheduled only one day before the tour? Our boats are relatively small, generally with a capacity to transport between 120 and 500 passengers. This is small in comparison with the huge cargo and cruise ships that also pass through the canal. Because of our small size, we must pass through the locks together with another boat for reasons of efficient use of the fresh water resource use to operate the Canal and the locks. The Canal Authority operates the locks system in the most effective way possible, which, form obvious reasons, implies scheduling small boats together through the locks so as not to misuse water. Around 4:00pm-5:00pm the day before our requested passage through the locks we are notified as to what specific time we will be admitted into the locks. What is the Capacity of the Boats which will be used for the Canal Tour? We utilize various different boats. The boats we use have a passenger capacity of between 120 and 500 travelers. Do the boats used for the canal tour have facilities to attend passengers in wheelchairs? our boats do not have specific access ramps or conditioned bathroom facilities for passengers in wheelchairs. However, our personnel are attentive to the special needs of wheelchair bound passengers who wish to participate in the boat tour. Can I disembark the tour boat at the Miraflores Locks, The museum or any other location? No. Our tour is exclusively a BOAT TOUR and no passengers are permitted to disembark the boat until the tour is finalized. Regardless of our policy, the Panama Canal does not offer docks or places to disembark other than the specific boarding and disembarking locations established for passengers use which we actively employ. Can I Return to Panama City from Colon by Train at the conclusion of the Panama Complete Tour? No. Our tour can not be combined with other services outside of our company operations. Besides, the train schedule does not coordinate with our tour schedule. You must, therefore, return to Panama City aboard on our luxury buses. Upon de Completion of The Complete (Full) Boat Tour in Colon, How will I get back to Panama City? We will provide your return transportation back to Panama City, returning you back to the specific point where the tour began. We will return to Panama City aboard luxury tour buses which we will board on the very dock where we disembark the tour boat in Colon. These buses will transport you back to the very point where you boarded the boat in the morning. We will be arriving back in Panama City between 7:00pm and 8:30pm that evening. Do I need to reserve the Panama Canal Boat Tour Ahead of Time? Definitely. In order to ensure space in one of our boats we highly recommend you make reservations as far in advance as possible. Our Panama Canal Boat Tour is the most requested tour in the country, thousands of foreign and national tourist make reservations with as much as one year of anticipation. Does the service provide transfers from the hotels to the tour meeting place and vice versa? Not always. Because of the high demand, often times it becomes very difficult to pick up all our passengers at the hundreds of hotels that have guest in the city. It is for this reason that, at the time you make your reservation, we will included in your tour for that particular day. The price of the boat tour does NOT include the transfer service. The transfer sis a free service we offer when possible and it is up to the discretion of the reservation department to determine whether we can offer the service or not. Factors such as the actual location of the hotel you are staying at and the departure time of the tour must be considered so as not to negatively affect the operation of the tour itself and the punctuality of the boat’s departure, scheduled by the Canal Authority. I am arriving to Panama Via Cruise ship and would like to take the Panama Canal Boat Tour. It is possible? No. 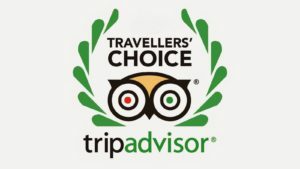 Our tours do not coordinate with either the arrivals or the departures of the cruise ships. Additionally, it is always possible that we experience unforeseen delays in our passage through the canal which could cause you miss your ship´s departure. Colon, where the tour ends, is located on the Atlantic coast of Panama City where the tour begins is located on the Pacific coast, with approximately two hours of travel time by bus in between them. Major cruise lines do reserve our tours for their passengers but these are generally private tours and are scheduled when their ships will be in port 2 or 3 days. We can, however, offer you a city tour of Panama City which includes views of the Canal and of the locks at Miraflores. Can I reserve a private a Panama Canal Boat Tour? No. we can only provide private tours when the passenger is willing to cover the full cost of the passengers required to fill our boats, which have a capacity of 120 to 500 guests. 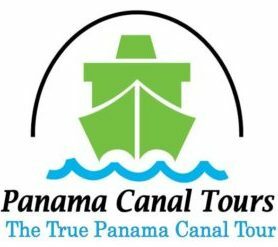 The Panama Canal Boat Tour is expensive due to the tolls charged to pass watercraft through the locks and offer unavoidable operational up to the capacity of the boat for any of our regular canal tours. If you are interested in a large group tour, please contact us at email; info@panamacanaltrips.com, for more information. I have a flight layover in Panama. Can I take the Panama Canal Boat Tour? Can I Take the Boat Tour in The Afternoon? All our tours begin in the morning, generally between 6.00am and 10.am. Very rarely are we assigned a departure time after 12:00pm. this departure time is assigned by the Panama Canal Authority the day before our tour date. Is there vehicle parking available near to the tour departure points? Yes, parking is available and it is possible to leave vehicles very near to our meeting points. best of all, these parking areas are free of charge. At the time you make your reservation, please mention your need and we will be sure to assign a meeting point according to your parking requirements. Is there a Bar service available on the tour boat? Yes, there is bar service available on the tour boat at very reasonable prices. Is there a vegetarian menu available at the lunch hour? No, there is no specific vegetarian menu available, however you will find a selection of salads, breads and fruits available as part of the regular menu. How far is it to the meeting points used for this tour? From the principal thoroughfares in the center of Panama City to our meeting point at Amador Causeway you should plan on a travel time of between 30-40 minutes. We do recommend that you depart with plenty of time as, depending upon the specific time you are traveling to our meeting point, there may exist heavy morning traffic. Plan on 40 minutes if you are leaving from the following points in Panama City. Avenida Balboa, Avenida Perú, Avenida Cuba, Albrook, Old Town (Casco Viejo or Casco Antiguo), Banking Area, Bella Vista, Calle 50, Calidonia, El Cangrejo, Marbella, Obarrio, Paitilla, Punta Pacífica, San Francisco, Via Argentina, Via España. How do I arrive at the Meeting Point? Generally speaking all taxi drivers know the three meeting points that we use along the Amador Causeway; the Flamenco Marina, La Playita, Balboa Yacht Club. At the time you make your reservation you will be assigned the corresponding meeting point. The taxi service available at your hotel is your best choice as they are familiar with our meeting points. You may also, if you which, request the service through UBER.